Spring is almost here, and what better time to take care of your sight? Your eyes are one of the most vital and most easily injured parts of the body which is why it is important to practice good eye care. Follow these tips to ensure your healthy eyesight year-round! Eye exams aren’t just about keeping track of your vision’s accuracy. Certain eye conditions are early warning signs of other health concerns including diabetes and some neurological disorders. Your eyes are also a window to your body’s overall health. A lot of people keep old glasses as backups, or break a pair and then simply go back to their previous prescription. This is extremely stressful on the eyes, and can contribute to long-term degeneration form the increased eye strain. Avoid using an old prescription any longer than is absolutely necessary. Always keep your prescription current. Good eye care can be as easy as watching what you eat. Foods like dark green leafy vegetables such as kale and spinach, and red and orange vegetables such as carrots and some squashes, have a high content of the nutrients your eyes need to stay healthy and properly adjust to the light/dark. 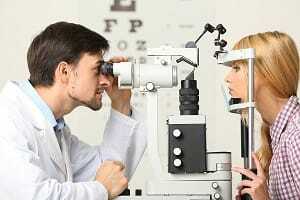 Good eye care today will pay off in improved vision in your later years. For more information or to schedule an appointment with Valley Eyecare Center, click here.